TMD has been operating a ‘charity of the year’ scheme for several years. Charities are nominated by staff and the fund-raising activities are coordinated by the company’s Sports & Social Team (SAS). So far, we have supported Alzheimer’s Society, Cancer Research UK, National Autistic Society, London’s Air Ambulance and, this year, CALM – the Campaign Against Living Miserably. This charity is dedicated to preventing male suicide, the single biggest killer of men under 45 in the UK. Rita said: “They now call me the Flying Hipgrave! I love an exciting challenge especially in a good cause”. 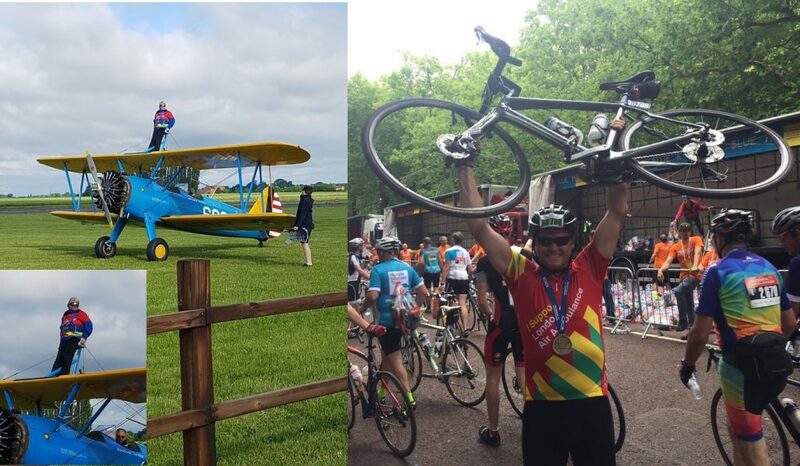 Nigel Hann, TMD’s Head of Sales (pictured above) also raised over £800 by taking part in the Prudential Ride London-Surrey 100 cycle ride. He said: “I trained hard beforehand and was elated at the finish of the ride – it was a great experience”.